Am I right? Teh hawt. Also? ADORBZ! (Be sure to watch to the end.) Her DeviantArt account is brimming with creative genderfuckhattery as well. *Link and awesome pun courtesy of Ariana O. As a Lefty Gender Destroyer (“genderqueer transwoman” is the official wording I use), I’m super-ultra-sensitive and very politically correct about gender language – and I’ve gotta say, I’m thinking of making “genderfuckhattery” my new transgressive reclaimed-language gender terminology. I am now a queermosexual genderfuckhatter. Also, no disrespect was intended by combining genderfuck and fuckhattery, I’m so sorry, I should have thought of that! It’s playful wordbending that I’ve come up with to describe a kind of genderfucked drag/fantasy/cosplay neutral zone that I love to explore, and love to see explored by others, that’s a bit on the goofy side. :) But yes, language is tricksy. Should I amend my post, do you think? This sort of thing always makes me sad. You have to be good looking to start with. Cool, but makes me sad. HOLY hell. That is awesome…and yeah, a little hot. LOL. It was the facial hair that did it for me – the second it was on, I was like YEAH. That’s Jared. Why do I get the feeling she could easily do Brandon Lee as the Crow as well? Totally swooning. I really wanna learn how to do that. I’m pretty impressively mediocre with the makeup tricks. Wow. That was hot. That was the best thing I saw all day. Thank you, Mer! Amaaaziiiing! And Mer, you described that 30 Seconds To Mars … pap.. perfectly. Oh, jeez. I’ve developed a surprising tolerance for pop over the last couple years, but that was unbearable. Oof. Russian Girl wins by a longshot. That was amazingly hot! 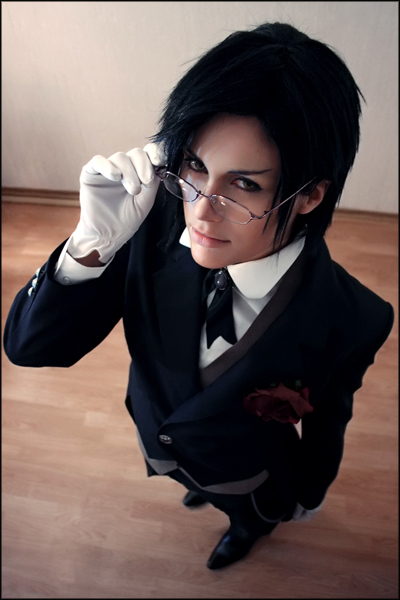 Gender bending at its best… love it! Strange coincidence, El Pais just did a feature on its creator/editor, Luis Venegas. what is the ‘green apple quick step’? Pete, it’s a Southern term for frantically running to the toilet owing to sudden onset diarrhea. Wow, someone who’s equally gorgeous bending male or female, a rare gift, indeed! Good heavens. I’ll be in my bunk.